"You start by loving. Loving a child won't solve all the problems, but unless he or she is loved, nothing else will ever help enough," says Joan Beck, author of Effective Parenting. Love--There are some situations when it's hard to feel or act lovingly. But when you speak to children, remember you are the major influence in their lives. Laugh--Humor is great for any relationship. Sometimes you'll have to sit back and laugh and encourage your children, too. Take care of your marriage--Children thrive in a happy household with loving parents. But if you're a single mom just like my Mommy, make sure to instill a positive outlook and self-confidence in your kid. Take care of yourself--To be a good person to anyone, take care of your mental and physical health. Seek the support of family, friends, and professionals when necessary. Pray--Pray both alone and with your husband and children. Prayer reminds you of God's love for you and yours, and offers courage when you are afraid or stressed. 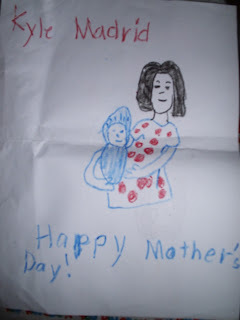 Kyle's artwork when he was only four. 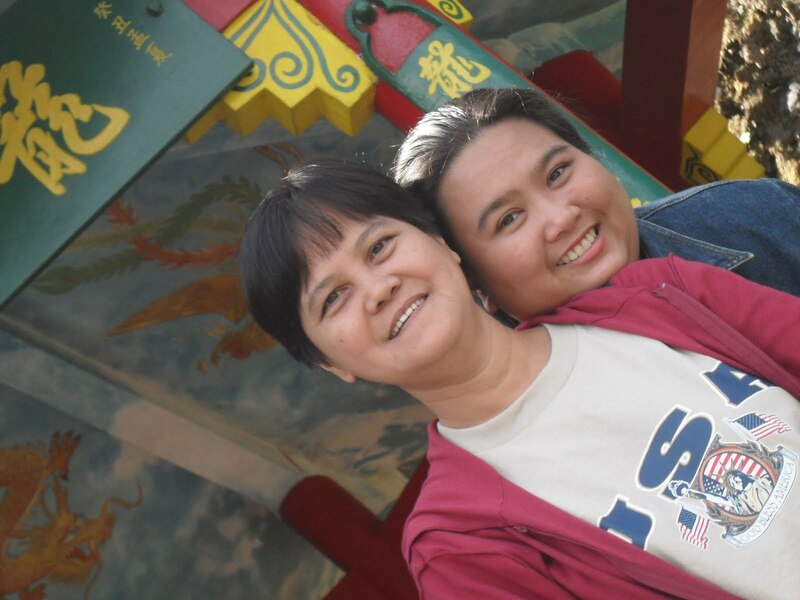 So here's to my mom, and yours: You're heaven sent Mommies! Btw, please secure a copy of The Philippine Star on May 8, 2011, my Mom and I are featured on its pages for the Mother's day issue. I won in an essay contest in partnership with Robinson's malls and part of the prize was to have the articles printed. It was a perfect gift for my own Mommy. I could not ask for more. Again, Happy Mother's Day to all Mommies out there!